Gloucestershire all-rounder Benny Howell has signed a new two-year deal with the club. Howell, 26, made his maiden first-class hundred against Leicestershire at Cheltenham earlier in July. He was born in France but came up through the Hampshire Academy. Howell is optimistic about the club's future, saying: "The way the club is going, the way the ground's been developed and the changes that have come in this year with new coaches." The all-rounder has scored 1,798 runs in 49 first-class matches and has taken 75 wickets at an average of 32.10. "I love Bristol, I love playing with the guys and believe in the next couple of years we have a chance to win some trophies," he continued. "I think over the next couple of years this is a very good place to be." 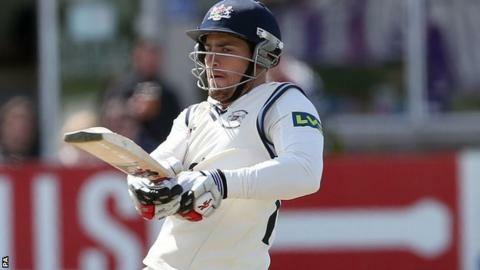 Gloucestershire head coach Richard Dawson added: "He's worked hard to earn his new contract. "He's been a consistent performer in one-day cricket over the last few years and moving forward he will be a valuable player in the squad across all formats."